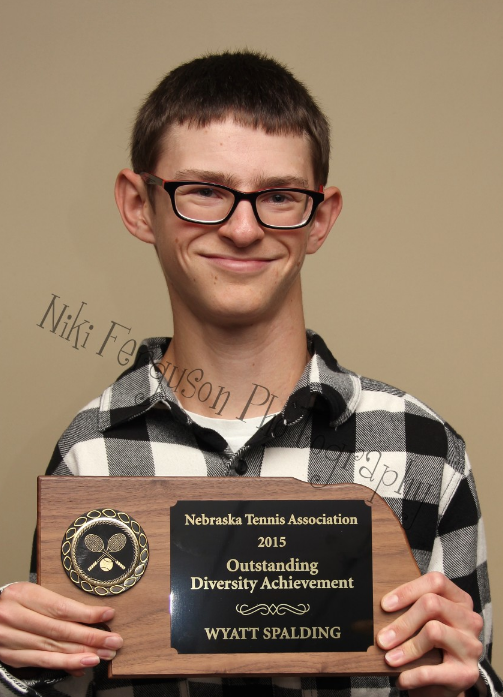 The Nebraska Tennis Association Hall of Fame & Awards Banquet was held Nov. 1, 2015 at the Fremont Golf Club. The Banquet was hosted by the Fremont Tennis Association. The keynote speaker was Dan James, US Open Wheelchair Competition Tournament director. He became a member of the USTA’s national wheelchair coaching staff in 1998 and is the current men’s head coach. 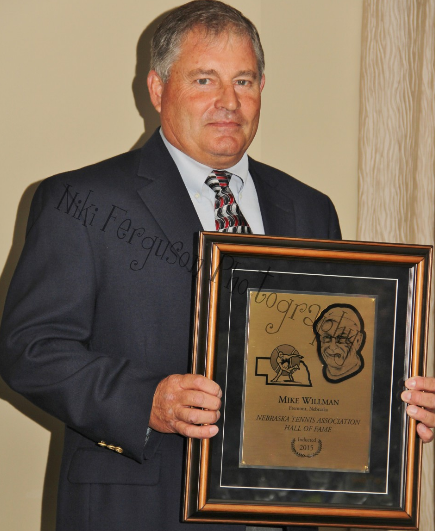 Mike Willman was inducted into the Nebraska Tennis Hall of Fame for his intensity and drive towards the sport of tennis with his goal to keep tennis a viable sport for all to enjoy. He began playing tennis in high school and has been playing tennis in Fremont since 1985. He currently serves as president of the Fremont Tennis Association and secretary of the Nebraska Tennis Association. Fremont tennis was recognized in other areas as well. Wyatt Spalding received the Outstanding Diversity Achievement award. He has competed with adversity all his life to play sports. Wyatt started playing tennis at a young age but with his disabilities he had limited playing time. As he got older he played with the Omaha Tennis Buddies and the Fremont Tennis Buddies. Wyatt now plays in open tournaments at the 3.0 level and the Fremont Tennis Association Men’s league. He has played in the Fred Johnson Regional All Star Tennis Event in Kansas City, Des Moines, and Omaha. He won the singles and doubles this year at the Nebraska State Special Olympics in Lincoln..
Diana Myers accepted the award for the McDonald’s Jr. Tournament as the Jr. Tournament of the Year. The 41st annual McDonald’s Fremont Junior Open was held in July with a total of 116 players. In addition to the Boys and Girls 12-18 events, there was a red ball event, and orange ball events for girls and boys. McDonald’s has sponsored this event for 41 years! Thanks to Nicki Ferguson Photography for shooting the photos for us. For a full gallery of photos, go to NTA Banquet Photo Gallery. Thanks to all who helped make our Banquet a success.